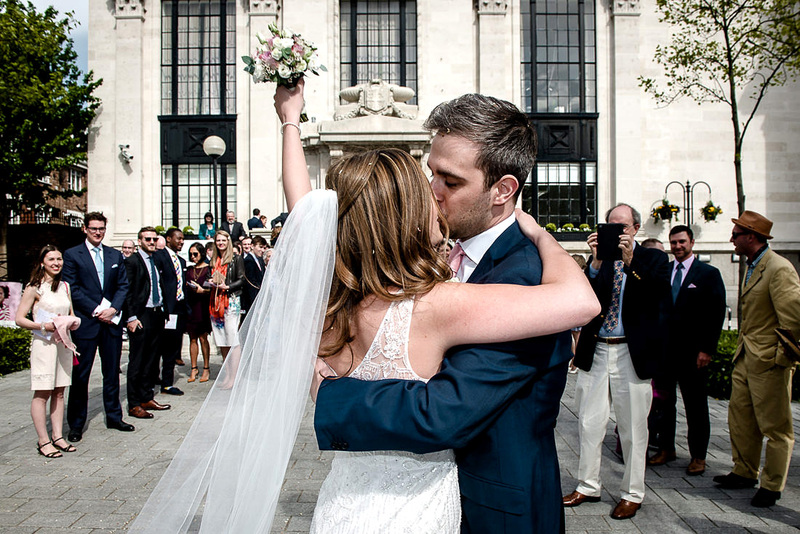 Rosie and Marcus were married at Islington Town hall in London last summer and their reception took place at Fredericks Restaurant just down the road. I usually shoot weddings at different venues every week but last year I found myself at Islington Town Hall for the last ceremony of the day for 5 weeks running. Fortunately it is probably one of the best London venues for wedding photography. Here's a small selection of my favourites from the day. If you are looking for a documentary wedding photographer to cover your wedding at Islington Town Hall or Frederick's Restaurant, London then please get in touch. 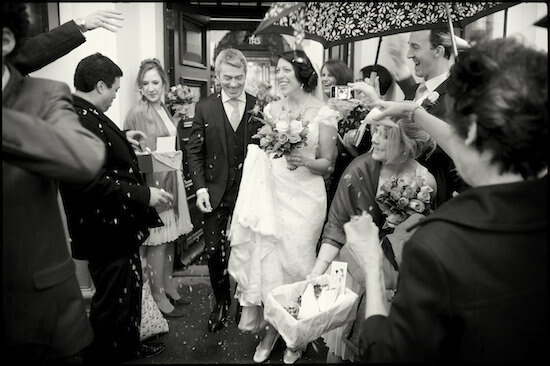 Although I'm based in London I travel all over the UK and abroad to photograph weddings. Isla and Ally were married at The Guild Hall, Bath and then held their reception in a Marquee at Isla's Aunt's house. "I met Tony on the morning of our wedding and right from the start he put me at ease, he was extremely professional, smiley and enthusiastic. I joked with him that he would have his work cut out with me as I am so unphotogenic, I told him I would be happy with 4-5 good shots. We were blown away when the photos came back, I have never been photographed so well. The documentary style really suited us as we hate posing for photos and were at no point asked to! We had no MC at our wedding and he even suggested we get announced as we entered the room for dinner.. something we would have forgotten to do and was one of the highlights of the day. Thank you so much for an excellent service, worth every penny. We cannot recommend you enough!" Although I am based in London and work across the UK I also travel around the world to photograph destination weddings. I’ve been lucky enough to shoot in Italy, France, Germany and the USA. Last year I travelled to Iceland to photograph Alexis and Mila’s wedding. The Black Church is situated on a lava field on the westernmost tip of the Snaefellsnes peninsula of Western Iceland. It’s an unusual location for a wedding and, in the summer, benefits from 23 hours of continuous daylight. The only guests were Mila’s parents, who went back to the hotel after the ceremony. Small weddings can be quite a challenge but my final edit contained about 550 images – possibly something to do with the incredible light, location and clients. Lauren and Guy's wedding photographs are now available. If you were a guest at this wedding please contact Lauren and Guy for the gallery password.